Trump’s favored fiscal and trade policies will crowd out private investment, reduce foreign direct investment in the US, and produce larger external deficits. How does the current global economic outlook compare to that of a year ago? In 2017, the world economy was undergoing a synchronized expansion, with growth accelerating in both advanced economies and emerging markets. Moreover, despite stronger growth, inflation was tame – if not falling – even in economies like the United States, where goods and labor markets were tightening. 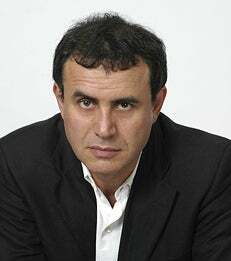 Nouriel Roubini is a Professor of Economics and International Business and the Robert Stansky Research Faculty Fellow.